The music Verdi wrote for this opera is often elegant and enticing, but the story is dark and ultimately tragic. 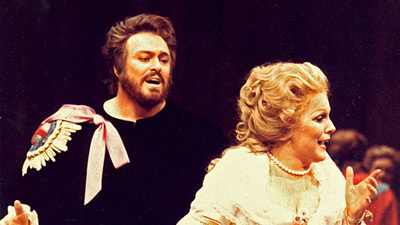 Under James Levine’s inspired musical direction, this is a performance that runs the entire emotional gamut. 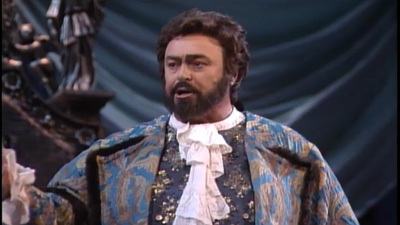 Luciano Pavarotti is King Gustav III of Sweden, who is in love with Amelia (Deborah Voigt), the wife of his best friend, Anckarström (Juan Pons). Political intrigue and marital misunderstandings collide at a glittering court ball—with disastrous consequences for everyone concerned.